Fr. Ted distinguishes big "T" traditions from small "t" ones. Fr. Ted discusses the two natures of Christ. Fr. 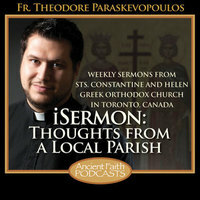 Ted reminds us that only in Orthodox Christianity do we have the totality of Holy Tradition.